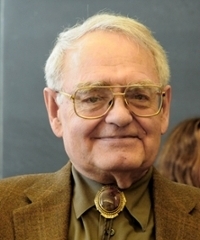 Peck’s commitment to making medieval studies and texts available to a wide range of students led to his directing a series of National Endowment for the Humanities (NEH) seminars during the 1980s and 1990s and, beginning in 1990, to his directing the Medieval English Text Series (METS). Supported by a succession of NEH grants and published for the Consortium for the Teaching of the Middle Ages (TEAMS), METS is an extensive editing project dedicated to making a range of medieval writing accessible to scholars, teachers, and students. Whether taught alone or alongside more readily available canonical texts, METS print and electronic editions enrich the educational possibilities of medieval classrooms and expand their cultural and literary analyses.